Unlike Jon Snow, Game of Thrones showrunners David Benioff and D.B. Weiss won't be back. There are still plenty of unanswered questions to address during the final two seasons of the fantasy series, and the biggest might be whether or not HBO will tell continue the story with spinoffs or prequels after it ends in 2018. 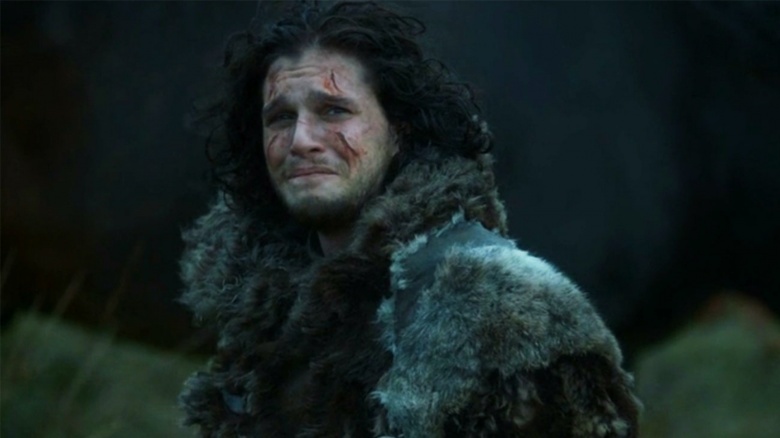 But shortly after the series became the most awarded scripted show in Emmy history, Benioff revealed that he and Weiss won't be involved with any spinoffs based on the source material, George R.R. Martin's novels A Song of Ice and Fire. "It's a great world that George created," Benioff said (via Entertainment Weekly). "I think it's a very rich world, and I'm sure there will be other series set in Westeros. But for us, this is it." Martin, however, offered a glimmer of hope. "Well, I do have thousands of pages of fake history—everything that led up to Game of Thrones—so there's a wealth of material there," he said. "And I'm still writing more." A few months back, HBO programming president Casey Bloys spoke to EW about the possibility of another show based on the world of Game of Thrones. "We've talked about it," he said. "It's something I'm not opposed to, but of course, it has to make sense creatively. I'm not sure that [Benioff and Weiss] could really wrap their heads around it when they're just about to start production [on season 7]. It's a pretty intense production, [and] they're about to start production soon. I'm open to it. The guys weren't opposed to it, but there's no concrete plans for it at this point." Clearly the ravages of winter have taken their toll on Benioff and Weiss, because they definitely seem opposed to helming any spinoffs now. Production for season 7 was delayed, and it will also be three episodes shorter than usual. Meanwhile, check out a few spoilers from the upcoming season. The seven-episode run will reportedly be so dark that Emmy-nominated actress Maisie Williams said "nothing can prepare you" for it.